The ultimate tester for diamond fraud protection! The GemOro Testerossa features NEW ADVANCED EXCLUSIVE MOISSANITE TESTING TECHNOLOGY capable of identifying the widest range of the electrically conductive moissanite material available, including the new super low electrically conductive F1 moissanite. 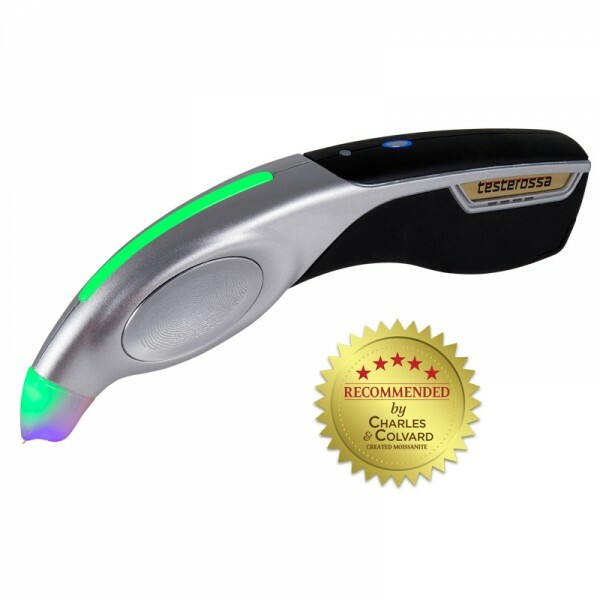 The Testerossa is the only multi-tester RECOMMENDED by Charles & Colvard. YOUR TESTER WILL BE FOOLED!